OK - I had to write this before I exploded with frustration and irritation! Just one example of the poorly researched rubbish I have been reading this weekend - EU bans dunking bowls. Or how about this one which is a little better but the comments are ridiculous - Olive Oil Diktat. And finally - Olive Oil jugs banned. Yes, the EU has agreed a tightening up of the rules for labelling and use of olive oil in restaurants. You would think to read the UK press that they had proposed the dismembering and eating of live babies. The hysteria is ridiculous. They have not banned dipping bowls or anything else! Do feel free to read it for yourselves here: Marketing standards for olive oil. You can still have a dish for dunking your bread into. The oil just needs to come from one of the new bottles that you pour yourself at the table rather than a dish that has stood around for a while collecting detrius. 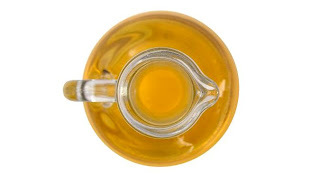 You can still have the same olive oil you always had - it just has to be in a non-refillable bottle (not single-use as I have seen reported) with a tamper-proof top (so that unsrupulous restauranteurs cannot refill it). On what level is this an infringement on your consumer rights or even a bad idea give the recent horse-meat scandal? Would you accept a bottle of wine in a restaurant that arrived at the table already open and without a label (even though the waiter assured you it was crushed by the feet of virgins)? I have to assume not. In which case why would you accept olive oil presented in this manner? Olive oil is just the fresh juice of the oil - nothing more, nothing less. This legislation is a partial adoption of one that came into force in Italy at the beginning of this year. It requires all oil producers to adhere to strict labelling rules that state what type of olives were used, where they were grown and where they were pressed. In addition to this the oil must now be served to customers in the non-refillable, tamper-proof bottles mentioned by the EU. The idea is to discourage fraud, make it easier to discover and try to promote the same kind of discernment that consumers exercise when buying wine. Corruption in the olive oil world is rife. What do I mean by corruption? I mean the mixing of inferior oil with extra-virgin (often adding chemical colourants and flavourings in the process) and flogging it at 100% Italian extra-virgin olive oil and charging accordingly. There are millions to be made by doing this. The unscrupulous big producers by cheap 'lamp oil' (what we call poor quality oil that years ago would have been used to light lamps and never used on food) or seed oils (completely different in their chemical make-up from live oil which is really a juice) and chemically treat them so they look like olive oil and maybe chuck some olive oil in too and sell it as extra-virgin. This happens in all the oil producing countries not just Italy. Tom Mueller, an America journalist who lives not far from us in Italy, wrote a fabulous book exposing the tricks these crooks use. This Guardian article is a precis of that book - Extra Virginity. In a recent test conducted on the West coast of America, 69% of the European imported oils were not what they said they were. As I said - it is rife. How does this new legislation help? Well, it now means that producers cannot pass off non-Italian oils as Italian first of all. They also cannot call something extra-virgin olive oil when in fact it is chemically enhanced sunflower oil. If the oils are blended they have to say so. Of course there is still nothing to stop the crooks from doing what they have always done but because of these new labelling rules and the rules governing the serving of the oil, it is much easier to check up on them and catch them out. If a mill has been found to be complicit in the adulteration of oil then these new measures mean any oil processed there can be found. So, the upshot is that for us small producers this new legislation means we can now operate on a more level playing field. What we sell is exactly what it says on the tin or bottle and now the big boys have to do the same. It may go some way to educating the general public about what a good quality oil really is. Now they can see where it came from, the hope is people will be more discerning about what they use and buy - just like with wine. Probably being thick but does that mean a restaurant has to open a new bottle of oil for every new diner? Hi Anne, not at all. It just means that the bottle must have a plastic insert that cannot be removed and does not permit refilling. This mean oil can be served in nothing other than its original bottle.